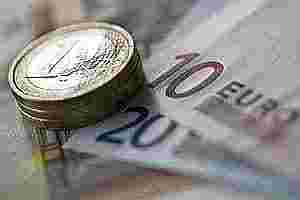 Paris: European stocks rallied early on Monday, extending the previous session’s tentative rebound from a seven-week low, as investors hope euro zone leaders will unveil fresh measures to resolve the region’s debt crisis ahead of next week’s European Union summit. But the rally was mostly seen as a technical bounce following a sharp sell-off that had pulled stocks in ‘oversold´ territory, and indexes remain in a downward channel started in late October. “People see stocks as ‘cheap´ so they are buying on the dip, but there’s just no visibility on the debt crisis, so this will probably turn out to be a bull trap, before the market goes lower again," a Paris-based trader said. Sentiment towards banks with big exposure to Italian debt was boosted by a report in Italian newspaper La Stampa suggesting the International Monetary Fund was preparing a rescue plan for Italy worth up to €600 billion, later dismissed by an IMF spokesperson. The euro zone’s blue chip Euro STOXX 50 index was up 3.5% at 2,184.04 points, breaking above a key resistance level at 2,153.76 points, the 61.8% Fibonacci retracement of the sharp 23 September-28 October rally, with its next resistance level at around 2,200 points, the upper band of its downward channel. The index hit a seven-week low on Friday and slipped into ‘oversold´ territory with its 9-day relative strength index (RSI) falling below 30, before staging a late-session rally seen boosted by profit taking on short selling positions. The newsflow remained negative, however, with Standard & Poor’s downgrading Belgium’s credit rating late on Friday and Moody’s warning that the rapid escalation of the region’s sovereign and banking crisis threatens the rating of all European government bonds. “Moody’s is sounding the alarm for the euro zone. It’s a reminder of what’s already in the prices: not a single country is immune from the crisis," said Sebastien Barthelemi, analyst at Louis Capital Markets, in Paris. “The question now is: are we heading towards more integration or towards the disintegration of the euro zone?" European officials told Reuters over the weekend Germany and France were exploring ways to secure deeper fiscal integration among euro zone countries, including the option of a separate agreement outside the EU treaty that could involve a core of around 8-10 euro zone countries. Germany has so far strongly opposed the idea of the European Central Bank providing liquidity to the region’s rescue fund or acting as a lender of last resort. Around Europe, UK’s FTSE 100 index was up 1.8%, Germany’s DAX index up 2.8%, and France’s CAC 40 up 3.1%. Shares in industrial groups featured among the top gainers, seen catching up with the recent sharp drop in the euro currency , which eases exports costs and boosts revenues from abroad. Airbus parent EADS was up 2.6%, Vallourec up 4.5% and Siemens up 2.4%. Despite Monday’s rally, the Euro STOXX 50 volatility index , Europe’s yardstick of investor sentiment known as the VSTOXX, remained around 40, signalling a lack of investor appetite for risky assets such as equities.